Late winter is the time to start looking forward to spring and all its promise. Winter yard chores are important to pave the way for fresh new greenery and healthy growth. End of winter garden maintenance can help give you a jump start on the growing season and give you time in spring to just watch the flowers bloom. Sometimes the amount of work needed after a season of storms and previous seasons’ debris can become overwhelming. It helps to have a list of late winter gardening tips to help focus on the most necessary tasks to promote a vigorous garden. The weather may still be frigid or drizzly or just plain stormy, but late winter gardens still need a little TLC to give them a good start for spring. 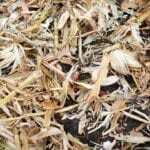 Beginning in late winter to maintain and repair yard damage and debris clears the way for all the spring activity that will soon burst upon the garden. Removing storm waste, raking and amending beds where you can provides open avenues for the next season’s greenery. Pruning, fixing outbuildings, maintaining yard tools and other winter yard chores frees you up in spring to do the fun stuff like starting seeds and planting flower pots and beds. You can take advantage of plant dormancy in late winter gardens and minimize damage with winter pruning. 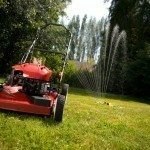 Few things are actively growing in winter, so it is the perfect time to use doing preparatory tasks. Almost every plant is best pruned at the end of winter when they are dormant. The largest exceptions are those plants that bloom and fruit off of old wood. These should be pruned after they produce in spring. Pruning when the plant is dormant reduces the loss of life-giving sap from the wounds and cuts tend to heal more quickly than when the tree is actively growing. End of winter maintenance gives you a chance to get outside and breathe fresh air. It promotes the gardener’s dreams of what will be and the potential of the landscape. Dress warmly and enjoy.